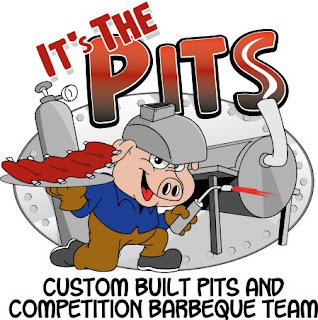 Continuing the grand tradition of "food" animals who tend the machines of their own destruction, it's the It's the Pits Custom Built Pits and Competition Barbeque Team pig! Your rig not drawing enough air? He'll be down with his acetylene torch in a shake. He belongs to a larger movement, of course—the school of the Accomplice Animal, whose pupils we have encountered far too many times. These are the poor benighted creatures who are not content to sit idly, waiting for some schmo with a hatchet to get to work. So they hitch up the barbecue and drive it to you, or march into the fire, or hack the flesh from their own bones, or, as here, make sure your equipment is in top cooking order. The only thing that could make more sense is, well, everything.